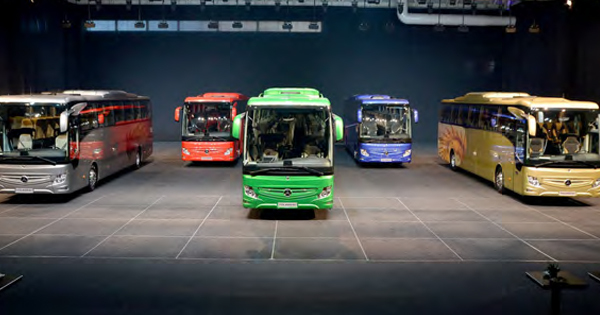 Mercedes Benz Turk introduced the new Tourismo buses which were developed with 30 million euro along with the Turkish engineers’ studies. Mercedes Benz Turk introduced its 3 renewed principal models at TUYAP Fair and Congress Center by holding an event. The new Tourismos of Mercedes Benz Turk which have been improved and manufactured at its bus plant in the district of Hosdere are going to start a new period in tourism and intercity passenger transport.